Purchasing the correct PSU for your needs has important ramifications for the rest of the system. Go cheap and it may not be able to handle the extra load imposed by jumping from running one graphics card to two. Spend too much and the PSU is barely being tickled by a system under load, suggesting that a value proposition would have been a better fit. PSU manufacturers have increasingly released ranges of supplies that target a particular type of user. A basic PC needs a perfunctory supply that's high on value. Gamers, on the other hand, may need two, three or four graphics cards and therefore require a supply that pumps huge amounts of 12V juice without complaint. 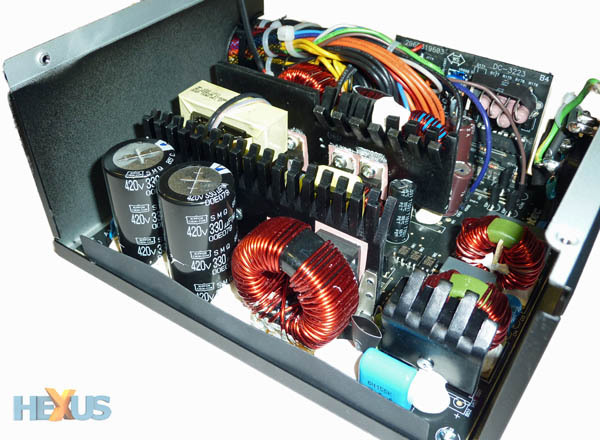 Antec has nine classes of PSUs that all offer something a little different. 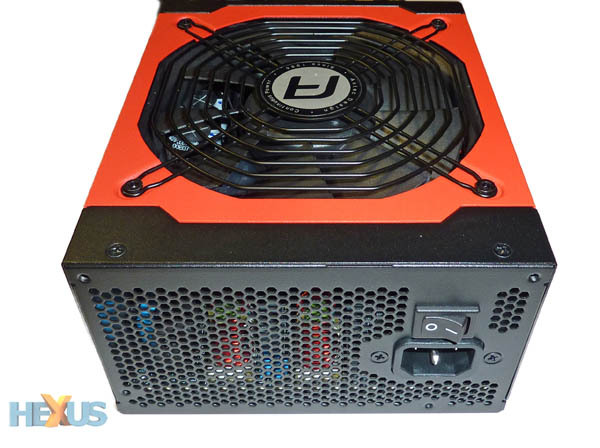 The 'High Current Gamer' non-modular range encompasses supplies from 400W through to 900W. 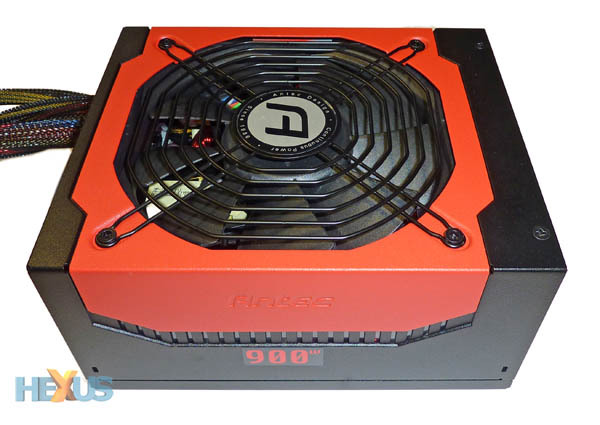 We've got the 900W version in for review, which currently retails just this side of £100, The basic topology is one of a quad-rail (12V) design that's suited to systems with multiple graphics cards and meaty CPU(s). 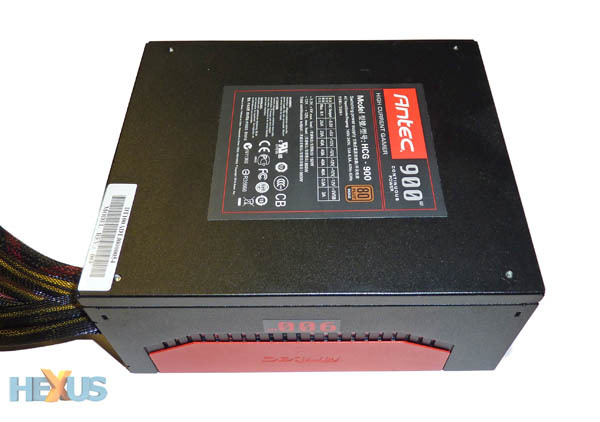 Antec says the supply provides 900W of continuous power (as opposed to non-continuous power?) at an ambient temperature of 35°C. This rating is average insofar as many premium supplies are rated to perform at a stuffy, taxing 50°C. Presented in an attractive red-and-black colour scheme on a scratch- and fingerprint-proof casing, initial impressions are good. The unit feels well-made and, measuring 180mm x 150mm x 85mm, slips in just fine into larger chassis. The top is dominated by a single 135mm double-ball-bearing fan - model number ADN512UB-A90 - manufactured by ADDA and rated with 82CFM airflow. The HCG-900 gets its name from the fact that there are significant amps on the 12V lines. Of course, the PSU cannot deliver a sustained 160A (combined) but having high limits on each rail mitigates any problems arising from overloading a particular 12V. Pragmatically, the supply can push out a peak 12V load of 850W, though sustained power, taking all lines into account, is the aforementioned 900W. Speaking of graphics, the HCG-900 is certified for both SLI and CrossFireX usage, though there's little documentation to state just which cards will and won't work - we know that putting a couple of GeForce GTX 590s in a system will make most PSUs cry. But any manufacturer, however bullish about PSU claims, needs to be responsible and have plenty of protection should matters go awry. The HCG-900 has over-current, over-voltage, over-power, and over-temperature protection as standard, and Antec backs it up with a five-year limited warranty. We think the 80-PLUS rating, which is now synonymous with power supplies, holds too much weight, as manufacturers tend to push engineering efforts into incrementally increasing efficiency to attain Silver, Gold, Platinum, and even Titanium certification. This supply is rated as Bronze, which means it has an efficiency of at least 82 per cent at 20pc and 100pc load, rising to 85 per cent at 50pc load, based on an 115V supply. Antec quotes a maximum efficiency of 88 per cent, and we'll be testing this assertion in our benchmarks. Inside, it's clear to see the space reserved for the fan limits just how the underlying components can be positioned. Antec has used a large PCB and the various caps are well-laid-out. The two main heatsinks are rather narrow, looking more akin to RAMsinks than some of the huge models we've seen on other supplies. That said, they're solidly placed over the heat-generating portions. Antec uses Japanese-made caps, and as far as we could tell, all bar one are from Nippon Chemi-Con. The coils and caps are glued into position and it's all nicely done. The quality of soldering, used to bind wires to the board, is also good. There are an array of transient filters for smooth power but, on closer inspection, no metal-oxide varistor, which is commonly used to buffer against power surges. Being non-modular in design means that cabling arrangement needs to be sensibly managed. Long-ish main and EPS connectors help in getting cables to easily fit into larger chassis. Four PEG (PCIe) connectors are a minimum for a gamer-orientated power supply, and Antec supplies these 6+2 plugs in two runs of two. SATA is split over three cables and, again, the connector at the end of the cable is easily long enough to reach an optical drive housed at the top of a tower chassis. Molexes are split over two cables, of which the second contains a legacy floppy connector. Perhaps the only change we'd ask for is to have four separate PCIe cables. The Antec High Current Gamer is designed first and foremost for users who need masses of 12V power for hungry graphics cards and CPUs. Keeping costs somewhat in check is the lower-than-average 'Bronze' certification, but do bear in mind that a jump up in classification does little to save you money - a two per cent efficiency difference is, in the larger picture, neither here nor there.